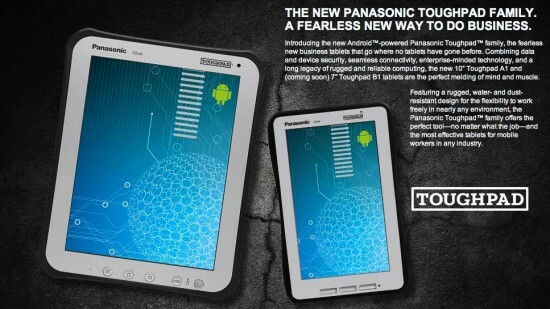 Panasonic introduced two new tablets, Toughpad FZ-G1 and JT-B1. The FZ-G1 is a 10 inch tablet with Windows 8 operating system and the JT-B1 than 7-inch version comes with Android 4.0 .Both devices are designed for tough working conditions and are particularly dust and water protection ,and also withstand shock and a fall of 1.2 meters. Almost all the ports of the two tablets are hidden under flaps, which make sure that the dust and water protection is provided.Another advantage of both tablets from competitors are the replaceable batteries.